Chall Gray the reader was looking for a book to help Chall Gray the bar owner learn more about the business of barrooms. The only one he could find dated back to 1880. So Chall Gray the writer decided to pen his own manual. 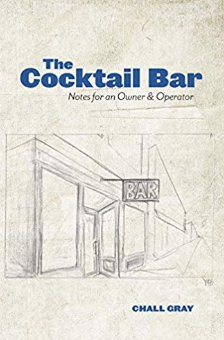 The result is The Cocktail Bar: Notes for an Owner & Operator (White Mule Press), a nuts-and-bolts guide published last fall by White Mule Press. Gray’s aim is that both the casual reader and the professional mixologist can find something of interest. “I walk through the entire process, from the conception of the initial idea all the way through the daily operation,” says Gray. The book addresses everything from how to choose an architect and general contractor to how to effectively price and cocktail and train staff. 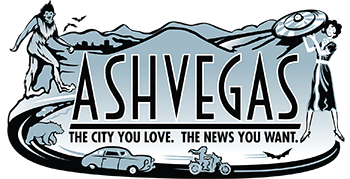 Today, Gray is co-owner of Little Jumbo cocktail bar in the Asheville with his wife, Lucia Del Vecchio, and Jay Sanders. The bar opened in the fall of 2017, about the same time that Gray was researching and writing his book. “I think there’s a common misconception that opening a bar is a straightforward thing,” Gray says. Gray also sought the advice from other experts, traveling to places such as New York and New Orleans to talk to the operators behind some of the top cocktail bars in the country, including 2018 James Beard Award winner Cure, Trick Dog in San Francisco, PDT in New York, Polite Provisions in San Diego and many others. In getting to visit many great bars around the country, Gray says he also found inspiring industry advancements happening in smaller markets. “Ten years ago, nobody would think to try to get a good cocktail outside of big cities like New York, Chicago, San Francisco. Now there are other markets that are innovating and doing cool stuff and really taking this industry forward. It’s exciting to see that and be a part of that,” he says. Gray says he’s up for the challenge, though. “I wouldn’t want to do anything else at this point. I love all the different moving parts. I’m always looking at improving the experience at Little Jumbo: creating a room with more ambience, a better drink,” Gray says.